Does this book require any introduction? “The Old Man and the Sea” is a short novel written by Ernest Hemingway in 1951 in Cuba. 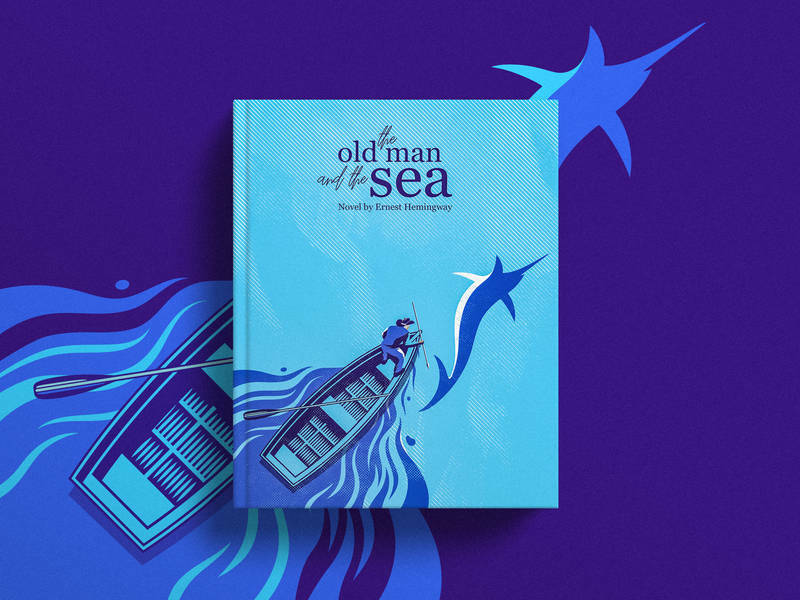 One of his most famous works, it tells the story of an aging Cuban fisherman who struggles with a giant marlin far out in the Gulf Stream off the coast of Cuba. "Art" "Blue" "Boat" "Bookcover" "Design" "Illustration" "Novel" "Sea" "Vector"
Does this book require any introduction? “The Old Man and the Sea” is a short novel written by Ernest Hemingway in 1951 in Cuba. One of his most famous works, it tells the story of an aging Cuban fisherman who struggles with a giant marlin far out in the Gulf Stream off the coast of Cuba. A little attempt to recreate some famous classics Cover illustration.